The New Hampshire bed has been made superbly and is very strong and durable. Throughout the construction process only premium materials have been used, Oak, pine and acacia wood form the main components of the beds. 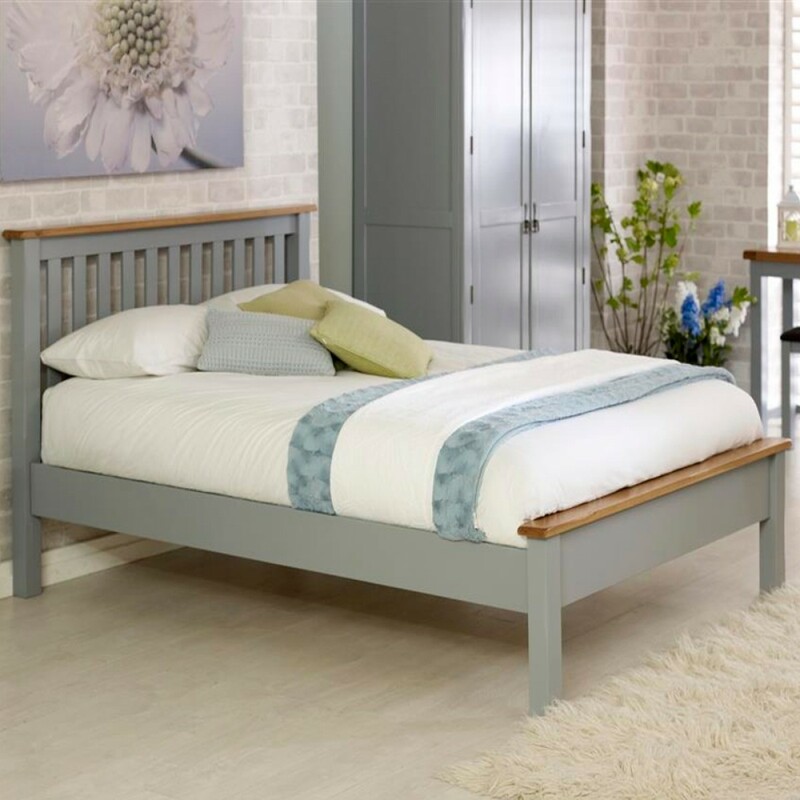 The New Hampshire bed has been designed with a contemporary and modern feel, with its two tone contrasting finish. The headboard and high footend are finished with the same open slatted design. The bed frame has a solid slatted base which provides a firmer support and allows air to circulate beneath the mattress. There is a gap of approximately 24cm beneath the bed, perfect for storage. The bed is supplied flat packed and can easily be assembled using the instructions provided. Please be careful when lifting and moving the bed as it will be heavy.